Wishing you all a Happy and a Prosperous New Year!!!!!!!!!! In a pan, heat a tsp. of ghee .Fry the cashews and raisins. In the same pan, add moong dal and fry them slightly until color changes. In a heavy bottomed pan,melt the jaggery by adding one cup of water. Strain it and keep it aside. In a pressure cooker , add dal, along with water and cook until 3 whistles. Now add this cooked dal along with the diluted jaggery and allow it to boil. Add the grinded paste and allow this mixture to cook for 10 mins. in a low heat. Finally add the cardamom powder and garnish them with roasted cashews and raisins. Serve it hot or cold!!!! 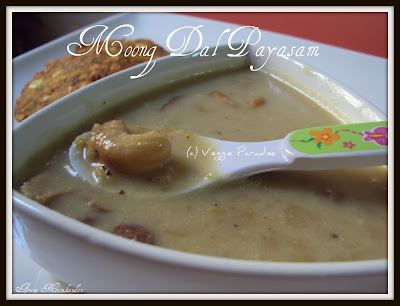 My all time favourite, delicious payasam..
Love this payasom and looks ddroolie yumm. Happy New Year! My favorite payasam! Happy New year wishes , Aruna and payasam looks great and a fav of mine too.. Very healthy and delicious looking payasam. Hi Aruna...thanks for visiting my space and for the lovely comment...payasam is looking yum....happy to follow u too. Paasi paruppu payasam looks delicious. Nice and yummy. 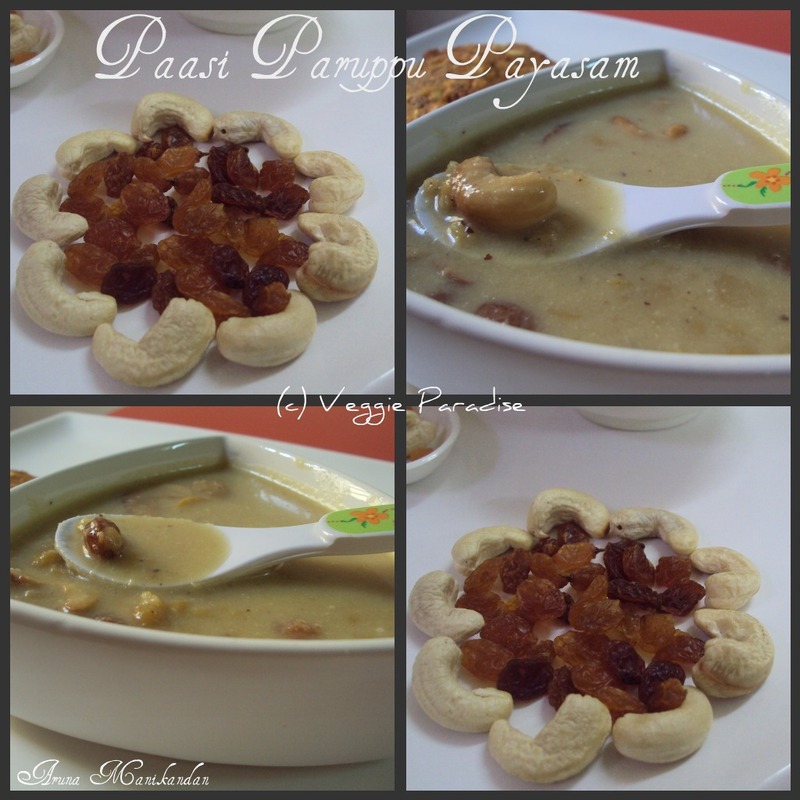 This is something new to me..
One of my favourite payasam... Looks delicious.